As Watchman Nee (2009) has said, “I do not consecrate myself to be a missionary or a preacher. I consecrate myself to God to do His will where I am, be it in school, office, or kitchen, or wherever He may, in His wisdom, send me” (p. 83). This is also my concept of the normal Christian life. Ever since my conversion (Ch. 17), I have always been involved in Christian ministry. I answered God’s call to serve Him in psychology, which I have fulfilled, but my work as a pastor was demanded of me by the situation (Ch. 18). Inasmuch as I admire those who consecrate themselves to full-time service, I believe in the priesthood of all believers, a fundamental Protestant belief. It is not healthy to over-emphasize the clergy-laity distinction by placing the professional clergy on a pedestal and praising them as more dedicated and more spiritual than the laity. Planning the summer retreat or Christmas program for PCCF. I do not think that I worked less or carried any less of a ministry load than an average full-time pastor. Of course, my work as a professor suffered somewhat, but, by God’s grace, my teaching and research accomplishments were still better than most of my colleagues (Ch. 20 and Ch. 24). If I did not spend as much time on Christian ministry, I could have accomplished a lot more in psychology. By the same token, if I devoted all my time and energy to the ministry, I could have made greater contributions to God’s kingdom. But neither was God’s plan for me; his purpose for me and for most normal Christian is to serve Him at all times, whatever one’s chosen career. Straddling two professions was not easy; it is inevitable that one has to work doubly hard in order to handle two jobs simultaneously. But there were also unexpected benefits. For example, my preaching was informed by my research, as evidenced in my sermon at Stone Church on “What Makes Life Meaningful” (Wong, 2012). 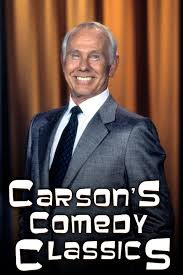 Similarly, my ability to teach Psychology 101 in a large lecture theatre was developed and fine-tuned through years of preaching; I even earned the reputation of being the Johnny Carson of Psychology for my sense of humour among first-year students. My research (Ch. 24) was enriched and deepened by my Bible knowledge and Christian ministry experience. This is most true in my development of second wave positive psychology (PP 2.0, Ch. 28), which emphasizes the inevitable duality of Yin-Yang. My entire memoir, especially Chapters 18 and the present chapter, demonstrates that mature happiness grows from the soil of suffering. With my own feet, I willingly pursued the path of suffering! Looking back, I can now clearly see that joy and suffering have always been intertwined in all my ministry endeavours. In fact, the healing power of my ministry comes from my deep wounds. Rick Warren (2012) is 100% correct in writing, “Other people are going to find healing in your wounds. Your greatest life messages and your most effective ministry will come out of your deepest hurts” (p. 352). As pastor of the megachurch Saddleback Church, Rick Warren has had his share of personal tragedies; among other afflictions, his own son committed suicide due to depression. 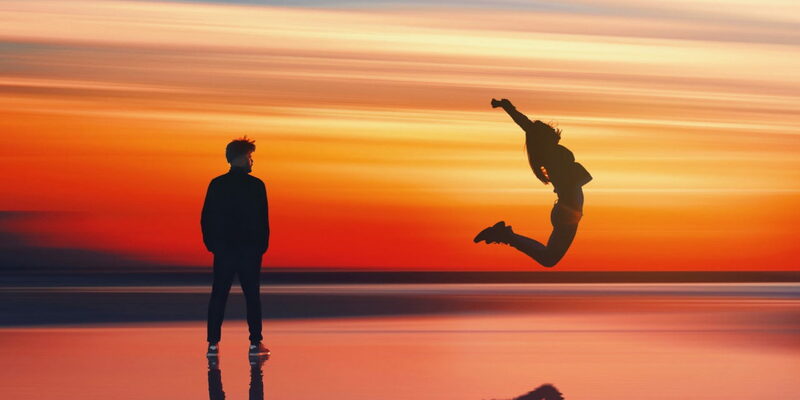 A recent article in Christianity Today explains Rick Warren’s belief that pain is essential to finding God’s purpose for your life” “Your pain often reveals God’s purpose for you. God never wastes a hurt! … If you’ve gone through a hurt, He wants you to help other people going through a similar hurt. He wants you to share it” (Warren, as quoted by Ong, 2016). 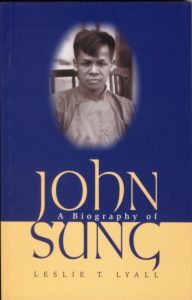 Many years ago, similar ideas about suffering were expounded by Dr. John Sung, who gave up his science career after receiving a Ph.D. in chemistry to become China’s most well-known evangelist. He believed that “all sufferings are the nature of things. They are planned to remove the dregs in ourselves, in order that we can face God without fear” (Sung, as quoted in Nystrom, 2009). The Bible itself has a lot to say about the benefits of suffering. Take James 1:2-3, “Consider it pure joy, my brothers and sisters, whenever you face trials of many kinds, because you know that the testing of your faith produces perseverance.” Thus, spiritual joy, virtue, and faith are fruits that cannot grow without the dark soil of suffering. This profound truth can only be known through life experiences; it cannot be discovered or tested in a psychology laboratory. That is why I have such difficulty explaining PP 2.0 to ivory tower positive psychologists (Ch. 28). 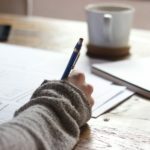 I have met many young people from Bible colleges and seminaries who have not been adequately prepared for suffering, whether by their school training or by their life. I am worried that they will be able to neither cope with church politics nor comfort members who are deeply wounded by life. Henri Nouwen, in his influential book The Wounded Healer: Ministry in Contemporary Society (1979), brings out an important truth about Christian ministry: “The beginning and the end of all Christian leadership is to give your life for others” (p. 72). The crucial test for Christian ministry is whether you are willing to do exactly this. While wounded healers made whole are a source of blessing to the church, wounded healers who are not healed are a curse. Take the case of Pastor EK (Ch. 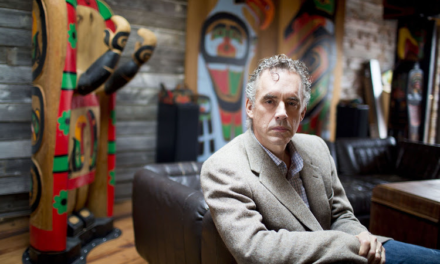 18), who suffered from low self-esteem and a tendency of paranoia, which were probably the result of the racial discrimination prevalent in Canada at that time. Take another case of a female seminary student I counselled, who falsely accused a professor of sexual harassment and fabricated the story that this professor asked her about the measurement of her breasts; she was even convinced that he secretly videotaped her in the bathroom. In yet another case, a seminary graduate was abused in childhood by his father, who repeatedly told him that he was useless; later, he overcompensated by constantly criticizing others in order to elevate himself in the church. Because of this tendency, the joke among the other seminary students was that any church that hired this person would be very unlucky. When I was in Hong Kong, seminaries had a high standard for admission: Potential students needed to provide evidence of calling to full-time ministry as well as demonstrate spiritual and psychological maturity. At present, seminaries in Canada accept anyone who breathes (including unbelievers) because of declining enrollment. Therefore, seminaries have produced graduates who may be unfit spiritually and psychologically. In fact, some seminary professors may have mental health issues (Ch. 20) and several pastors have sought my professional help. I still remember Wang Ming-Dao’s criticism about seminary education. Widely acclaimed as the “Dean of House Churches” in China, Pastor Wang was very vocal in his condemnation of the worship of academic degrees in seminaries and the lack of devotion to God’s Word. This criticism is still valid today. All the Doctor of Ministry degrees will not save the church unless there is real spiritual reform in seminaries. Otherwise, they will continue to produce graduates who prefer convenient lies to painful truths (Ch. 18) and are more concerned about defending their own turfs than extending God’s kingdom, as reported later in this chapter. As far as I can remember, my wife and I have always been involved in student ministry. 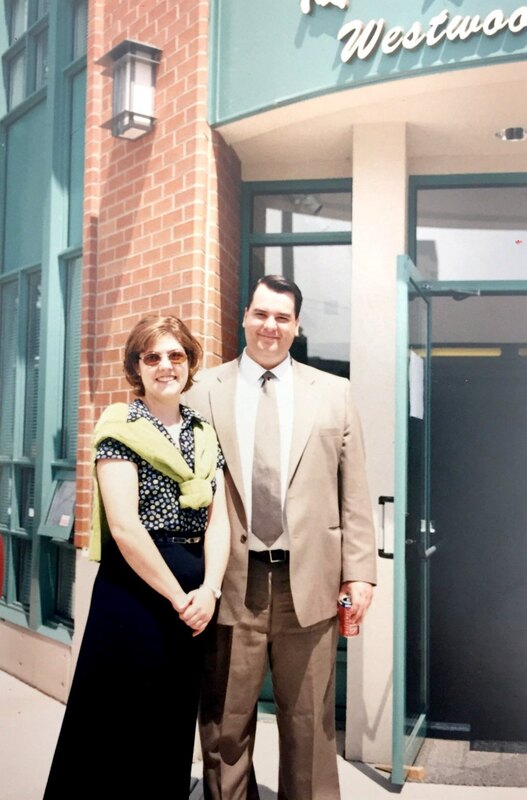 Prior to our marriage, Lilian was involved in the University of Toronto Bible Study Group and IVCF’s Pioneer Girls Summer Camp, while I was involved in serving young people and students (Ch. 18). 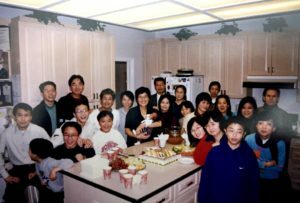 After our marriage, it seemed natural for us to host Bible studies and fellowship groups in our home, wherever we went. 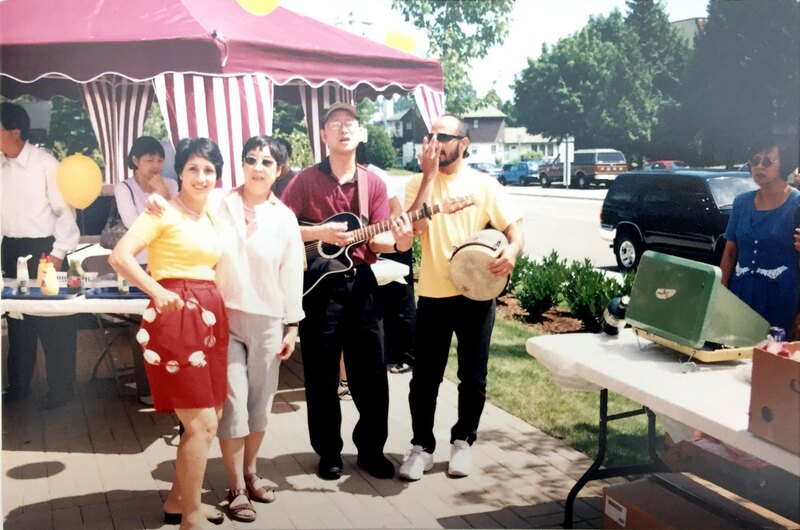 When we were in Ottawa, we started the Ottawa Chinese Bible Study Group and helped out with Dr. and Mrs. You’s monthly Chinese worship service. Dr. You was a good example of a wounded healer made whole. He was well-educated, with both an M.D. and a Ph.D., but he suffered a stroke shortly after completing his education. Mrs. You herself was also an M.D. Together, they cared for the overseas Chinese students and served the Chinese people in Ottawa. My wife was the recipient of lots of tender lovingkindness from the Yous. For myself, I also led one of the campus Bible Study Groups at Carlton University sponsored by IVCF. This was a painful learning experience. One day, the chaplain of Carlton University joined our Bible Study Group. He denied that Jesus was the Son of God and kept on challenging my interpretations of the Bible. I felt it was my obligation as the group leader to uphold the purpose of IVCF and maintain that “Jesus Christ was the living God while actively leading others to a personal relationship with him.” As a result, the Bible study degenerated to a debate between the two of us. After this disastrous performance, attendance in my Bible Study Group dropped sharply. After this bad experience, I refrained from debating anyone at Bible study. Instead, I simply stated my understanding of the Scriptures, answered questions, and let group members decide for themselves regarding what the Bible actually says. The truth can only be discovered; it cannot be imposed by anyone. Our student ministry at the PCCF was the longest and the most productive one. As soon as we arrived in Peterborough, we were welcomed by Miss Isabel Connelly, a retired teacher, and Miss Greta Clark, a retired missionary to China, with the words, “We have been praying and waiting for someone like you to start a Chinese ministry in Peterborough.” Like Dr. and Mrs. Vokes (mentioned in Ch. 18), Connelly and Clark were really interested in working among the Chinese, but their efforts were handicapped by the language barrier and their old age. They were only able to make several friendly contacts, but unable to reach the student population. It was déjà vu; I was targeted as the person to carry out the mission. However, this time, I did not have any resistance and gladly accepted the challenge. In our first year in Peterborough, the first Bible study on campus was attended by only a few students. When I invited Miss Clark to our Bible study, she was so excited that she could not stop preaching and talking. I was unable to contain her enthusiasm. After a few weeks, I could no longer invite her in order to have enough time for actual Bible study, but she and Miss Connelly were still welcomed to our Friday Fellowship. When Greta died a few years later, she left with me all the Bible study materials she had prepared when she was a missionary in China, all in her own handwriting. One advantage I had as a professor was the ability to make friends with people in the Office of the Registrar. I told the director that I wanted to organize a welcome party for all the Asian students coming to Trent as a part of Trent’s orientation activities. She thought that it was a good idea. Thus, I was granted the permission to get all the names and contact information of incoming Asian students from her computer. Then, I wrote each one a personal letter, inviting them to my home for a welcome party and offering to arrange rides when they arrived. This method worked very well. Typically, at our welcome party, we had anywhere between 20 to 40 students; some of these students came from Sir Sanford Fleming College (now known as the Fleming College). We prepared a free dinner for them, with me doing most of the cooking, followed by a light-hearted program. I usually conducted three types of Bible study: (1) evangelistic Bible study for seekers, as a result of which numerous students became Christians; (2) follow-up Bible study for new believers; and (3) leadership training for potential student leaders. I either used a classroom or my own office for these Bible studies. I have so many memorable moments from student ministry. So many students have moved on to serve the Lord in leadership positions or full-time ministry. In one particular year, we were blessed with an excellent crop of Christian student leaders, such as Timothy Quek (now a pastor and psychologist), Ricky Siu (now retired after planting Chinese church in the Maritimes), Carrina Wong Chan (active in her Hong Kong church and a strong supporter of INPM, see Ch. 27), and Sandra Lai (now a missionary in Asia). 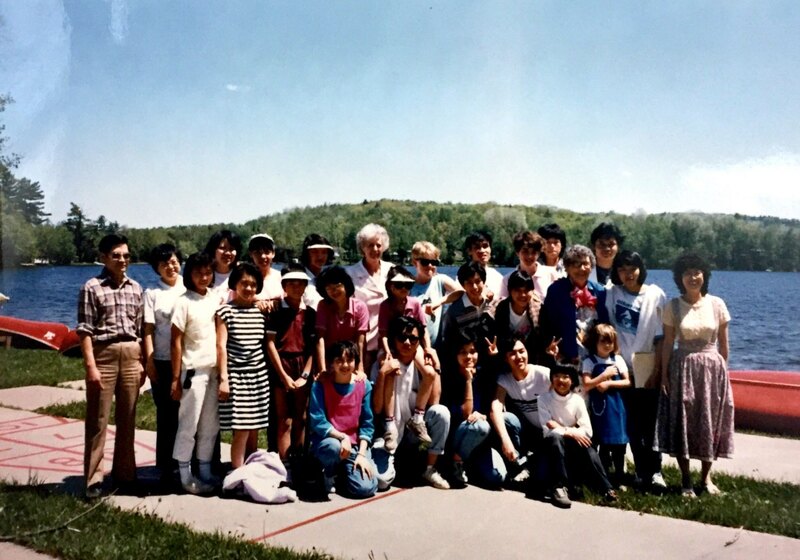 When I started teaching at Trent, I was glad for the ability to have the annual summer retreat of Eastern Ontario Association of Chinese Christian Students moved from Camp Iawah to Trent University. Camp Trent as it was no longer exists because so many Chinese churches now have their own youth retreats, although a leadership conference named Campus Challenge run by Ambassadors for Christ in Canada has taken its place. Knowing the difficulty of finding accommodations, we even purchased a house on Aylmer Street and had it fixed and furnished for overseas Chinese students at a rate way below market value. As a result, we suffered financial loss each year. Finally, we had to discontinue this project due to the constant bickering among the students living there and the lack of time for dealing with their despites. In addition to an annual Christmas party, we also opened our home for lonely students on New Year’s Eve. Our student ministry was 24/7, from finding shelter for homeless students to helping them with visa problems to hiring lawyers to defend their rights. There was nothing we would not have done for our students. 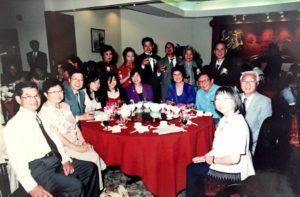 The Trent Chinese Christian Fellowship later evolved into the Peterborough Chinese Christian Fellowship (PCCF), with the addition of local families such as Gordon and Anna May Young, Paul and Bernadette Lung, and so on. Anna May did her honours thesis under my supervision and became my research assistant. I was grateful that Gordon and Anna May were able to take over the PCCF when we moved to B.C. The PCCF grew rapidly with the sudden influx of the Vietnamese boat people in the 80s. Almost all the surrounding churches dropped their sponsored refugees at my door, hoping that I could help them. This greatly expanded my scope of ministry. I was actively involved in helping the refugees with translation, job placements, sponsor negotiations, advocating with the school system, and so on. The first wave of boat people was predominantly Vietnamese of Chinese descent. Mr. and Mrs. Chow, originally from Vietnam, were actively involved in working with me in the resettlement of the boat people. We served the boat people with the same passion as the overseas Chinese students. Those were busy but exciting days. With so many families joining us for Friday night fellowship and Bible study, our home was known to have the best party in town. Every Friday, many cars were parked in our driveway and the street, and we had on an average 30 to 40 people at our home. To meet the growing spiritual needs of the overseas Chinese students and the boat people, we started an afternoon service at the Church of the Open Bible, an Associated Gospel Church, where I served as a Board member and an adult Sunday school teacher. I preached every other Sunday at the PCCF’s Sunday service. My wife was involved in running the Sunday school and training the children and young people for a Christmas play attended by many boat people and their church sponsors. In addition, we also had an annual summer retreat for the PCCF’s young people, although older folks were also welcome. In all our activities, there was a familial atmosphere. It is unfortunate that in most churches, programs are segregated according to age; as a result, young people no longer know how to relate to older people or learn from them. We have been at the Grace Chinese Gospel Church of North York for a year and a half, but not a single young person or middle-aged person has ever said hello to us. This is the result of age segregation. A lot of hard work went into this new refugee ministry, but it was also deeply rewarding, especially when we saw with our own eyes how their lives gradually changed for the better. Most of them became productive members of society and their children enrolled in universities and became professionals. We still maintain friendships with many of them. Ming still visits us from time to time. The Bible study in our living room. 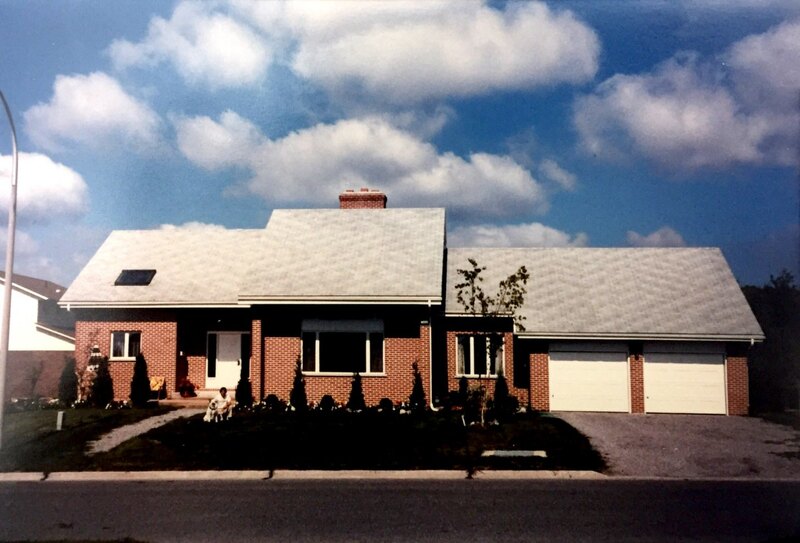 Our house on Champlain Drive, Peterborough, Ontario. Performance of “Hark the Harold Angels Sing,” one of PCCF’s Christmas plays. 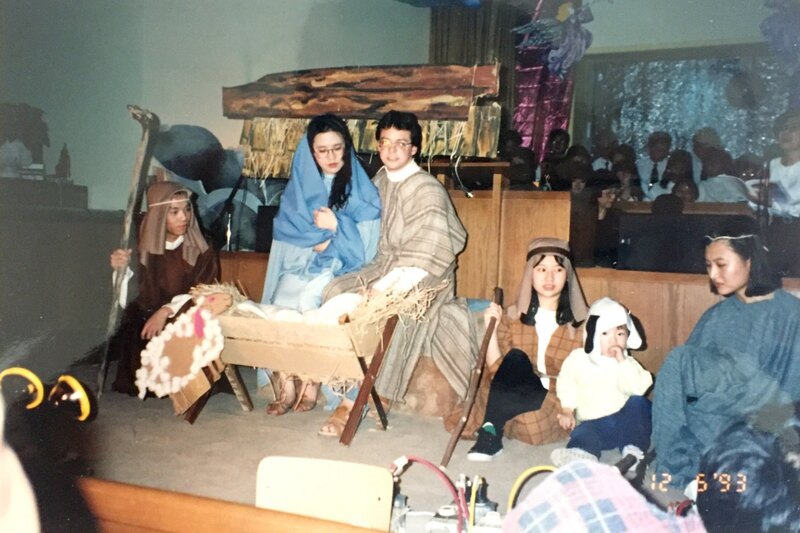 The nativity scene at one of PCCF’s Christmas plays. When things were going well, a stranger unexpectedly showed up at our Sunday worship service. Let’s call him Holy Terror or Brother HT. He introduced himself as a new graduate from another Ontario university working as an engineer at Canadian General Electric. He first declared that God told him to take over the PCCF because I was too old for student ministry (at that time, I was still in my early 40s). Then, he wanted to meet our leaders and told them our Sunday service was so disorganized that it required better leadership (at that time, many attending the church were either unbelievers or new Christians). Finally, he criticized our first Christmas program as obscene, simply because one Vietnamese woman wore her traditional long dress. An example of the traditional Vietnamese long dress with high slits on both sides. To say the least, we were dumbfounded, not knowing how to respond to all his accusations. Ever since his arrival, my ordeal began. For several months, we wrestled with all the problems created by Brother HT. My first step was damage control. I had enough faith in my student leaders, such as Carrina, Ricky, and Timothy, believing that they would not be easily led astray. In response to my warning, the student leaders informed me that he had already invited them to his apartment, wanting to plan an alternative young people’s program with them; they did not go along with his divisive plot. I then contacted the pastor of his prior church in another city and learned that he pulled a similar stunt, resulting in his expulsion from the church. Finally, I invited the pastor of Church of the Open Bible to be the mediator in this conflict. Brother HT could freely present his case and justify his accusations. After two or three meetings, the pastor decided that the only solution was expulsion because he remained unrepentant. The Board of the PCCF actually wrote a letter informing him that he was no longer welcome in our fellowship. Having been a victim of unjust expulsion, I was reluctant to resort to this extreme measure. After many hours of agonized prayers, I decided not to go through with the expulsion. Another complication to this crisis was that his fiancée was my research assistant and a trusted friend; even after their marriage, his wife remained a good friend. This relationship made it even more difficult for me to excommunicate her husband from our fellowship. Throughout this conflict, she remained very supportive of my ministry; she even argued with HT on my behalf. Finally, I had a long talk with him. He only admitted that his approach was wrong by coming on too strong, but he refused to retract his criticisms. Our mutual agreement was that he was free to join the fellowship and worship, but he could not have any responsibility for a period of six months. I was glad about my decision because we became friends after his wife’s premature death. I was also grateful for the privilege of giving a eulogy at her funeral; I remember that I used the metaphor of a lotus to describe her Christian life. 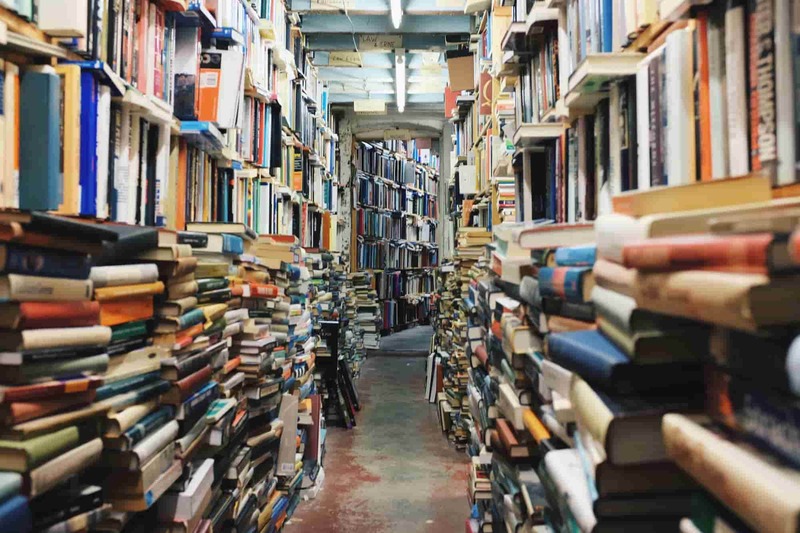 This experience made me understand why so many pastors have developed a “bunker mentality.” In a congregational church or fellowship, almost any ambitious person could endear himself to church members and plot a mutiny. After all, “a little yeast works through the whole batch of dough” (Gal. 5: 9). A single cancer cell can multiply and spread through the whole body. I was able to survive HT’s attempt at a hostile takeover simply because of my close relationships with all the people in the PCCF. Now, even after so many years, we still have reunions from time to time. However, harkening back to my early days at TCGC, I was unable to deal with the “cancer” because I was still too young and inexperienced. My early days of church ministry were a disaster (Ch. 18). After much self-reflection and post-mortem, I have concluded that I could not have avoided the problem because the small remnant of Mrs. Vokes’ English class opposed my leadership soon after we moved to Dundas Street West. This opposition was evident in James Lee’s falsified history in a publication on the occasion of 25th Anniversary Celebration of the Chinese Gospel Church. Geoffrey Cheung brought this publication to my attention after reading Chapter 18. Now, we have concrete evidence that James Lee’s article was the source of the fake history on today’s TCGC website. His article was full of unsubstantiated assertions. According to his account, my only role in the early days of the CGC was that I “co-ordinated Sunday service sermons.” His account was contradicted by the rest of the articles in the same booklet! At that time, upon request of the editorial board, I also submitted a detailed history written with my tears and blood, similar to Chapter 18, but much of the material I provided that directly contradicted James Lee’s fake history was deleted when my article finally appeared in the 25th-anniversary publication. I do hope and pray that I can add a footnote to this chapter that the current leadership of the TCGC has finally redressed the historical wrong that has caused me so much pain for five decades and brought discredit to the TCGC’s leadership. On the positive side, I am forever grateful to all the brothers and sisters that were mentioned in Chapter 18. In addition, Wun Ying, Lawrence Lo, Chadwin Mak, and Dennis and Eddy Mak, all then mature graduate students, also made major contributions to the TCGC. Because of the strong spiritual foundation we built more than five decades ago, TCGC has flourished into several branches. In those days, there was increasing tension between the growing student population and the small local group, consisting of mainly non-college-educated workers. The only remaining toxic fruit (fake history) on TCGC’s website can be traced back to the original bad root which was responsible for many for the early problems in TCGC, including the banning of student membership by James Lee and Mrs. Vokes. As I have also mentioned in Chapter 18, I now enjoy the blessings of attending the GCGC of North York, planted about 20 years by the Rev. Jim Tam (譚品立牧師), the father-in-law of my competent assistant Evelyn Tam. Taking everything into account, I am comforted by the Scriptural promise that “those who sow with tears will reap with songs of joy” (Psa. 126:5). My next experience of church ministry in Los Angeles was much more positive. 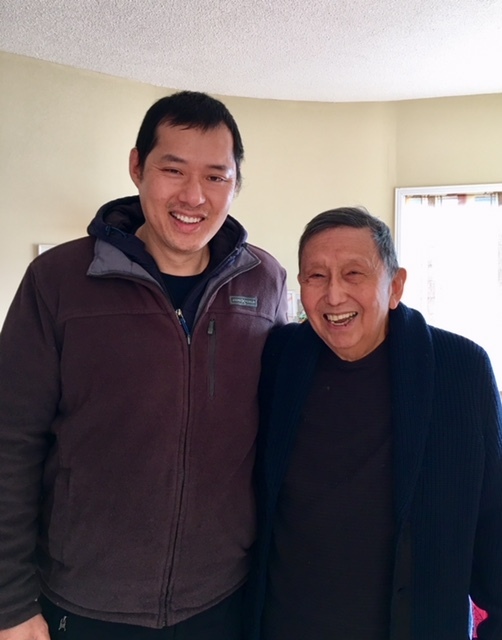 When I spent my sabbatical at the University of California, Los Angeles from 1978 to 1979, I became reconnected with Pastor Duncan Dang. He warmly introduced me to the church leaders and invited me to speak on Sunday. This was an unusual church started by the third generation of Chinese Christians, who felt at home neither in American churches nor Chinese churches, where they were treated as second-class citizens. Therefore, ten Chinese Christian families decided to band together and start an English-speaking Chinese church with American-born Chinese as leaders; another emphasis was that they wanted their children to learn elements of traditional Chinese culture, such as filial piety. My wife and I clicked with them at once. 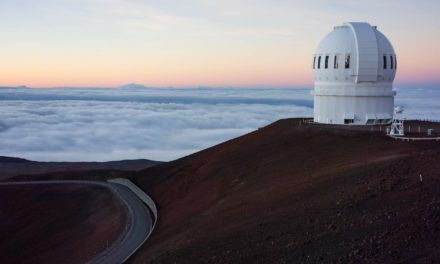 We fully understood where they came from and were able to communicate with them easily, since all of them were well-educated professionals with similar attitudes and values. We were all on the same page. After Pastor Dang’s retirement, I preached at the church frequently and helped them with church planning and visitations. I did not accept any payment for my preaching, and they returned the favour by offering free medical services, as there were a medical doctor and a dentist among them. They found my preaching challenging and practical. Therefore, they all asked me to stay on as their pastor. They were even willing to match my professor’s salary; at that time, I was at the top Associate Professor level, receiving over $70,000 USD a year. I had to decline in spite of their persistent request, since after the traumatic experience at TCGC I was firmly convinced that I was better at pioneer mission work than pastoring. After moving to British Columbia, we were able to serve at a Baptist church through the introduction of my secretary at Trinity Western University. This church consisted of mainly German immigrants. Mr. Wiebe, a deacon of the church, was very kind of us. They also had a young pastor, a new graduate from the seminary of Trinity Western University, where I taught. With the support of Mr. Wiebe and the young pastor, we were able to do a lot of things for the church. Our Neighbours Together program at our home served as an outreach effort, with some members of the Baptist church helping out. I also started teaching a class on personal evangelism. After the training, I had organized for them to do door-to-door canvassing; this evangelistic effort was very fruitful. Moreover, my wife was involved in teaching Sunday school. Unfortunately, after the resignation of our young pastor, a much older pastor (in his late 60s) became the pastor. He told the congregation: “We need to do everything my way—it will either revive the church or kill it.” His first move was to organize a church council, inviting everyone who served in the church to attend; even the church janitor was invited. The strange thing was that my wife and I were excluded. He also banned church members from taking part in our Neighbours Together program. The message was very clear—we were not a part of his plan. With tears in his eyes, Mr. Wiebe pleaded with the pastor to use our gifts and begged us to stay. We finally had to leave the church, knowing that the pastor did not want us there. We still do not know why that was, considering he never talked to us and all the reports from the church about us were very positive. Our next adventure in church ministry also started well but ended on a sad note. After leaving the Baptist church, we helped out with the Coquitlam Alliance Church, where the senior pastor was very kind to us. We took part in their Missions Day and shared our ministry of Neighbours Together. I also helped plan teaching programs with him and preach on Sundays. Unexpectedly, at one function, we met a smiley-faced Chinese pastor who wanted me to help out with the English ministry in his church. We had a common friend, John Szeto, who had financially supported his new church. Therefore, Pastor Smiley immediately trusted me because Szeto and I were once co-workers in the Gospel (Ch. 17). 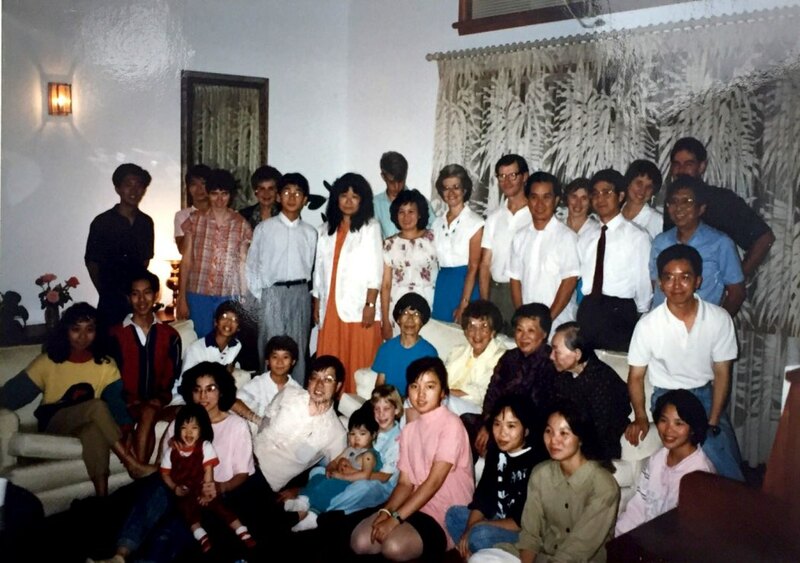 Thus, we began to help with the Chinese Alliance Church shortly after they moved to a new church building in 1994. Since the new building was located in a Caucasian neighborhood, Pastor Smiley and the church leaders had to promise the City Council that their English ministry would serve the English-speaking community. 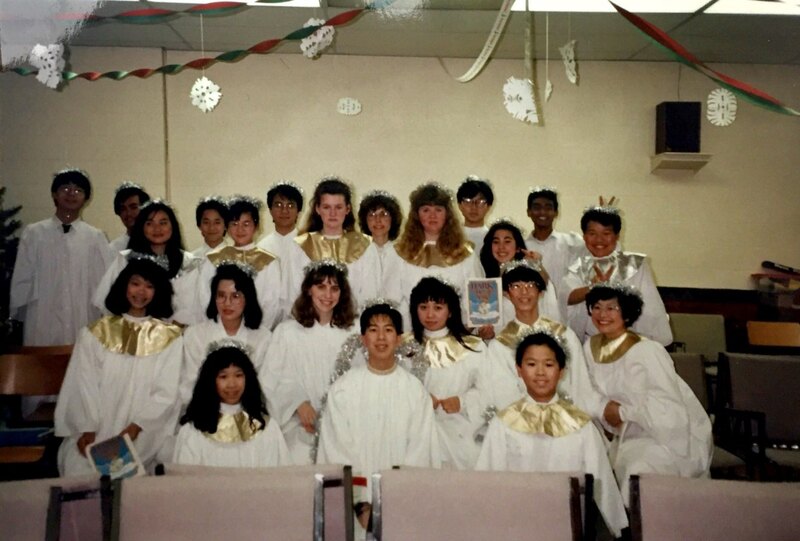 Unfortunately, Pastor Smiley’s vision was different—he wanted the English congregation to serve the teenaged children of the Cantonese congregation. Friends from the English congregation at our home. I began to canvass the neighbourhood around the church and got some English-speaking neighbours interested in attending. After we hired the first English pastor for the English ministry, we offered the Alpha Course and attracted many people. Pastor Smiley was alarmed by the increase of Caucasian people in our English congregation. He first condemned the Alpha Course as from the devil. Then, he forbade us from witnessing to our neighbours. He began to rewrite the English pastor’s contract, limiting him to serving the children of the Cantonese congregation. 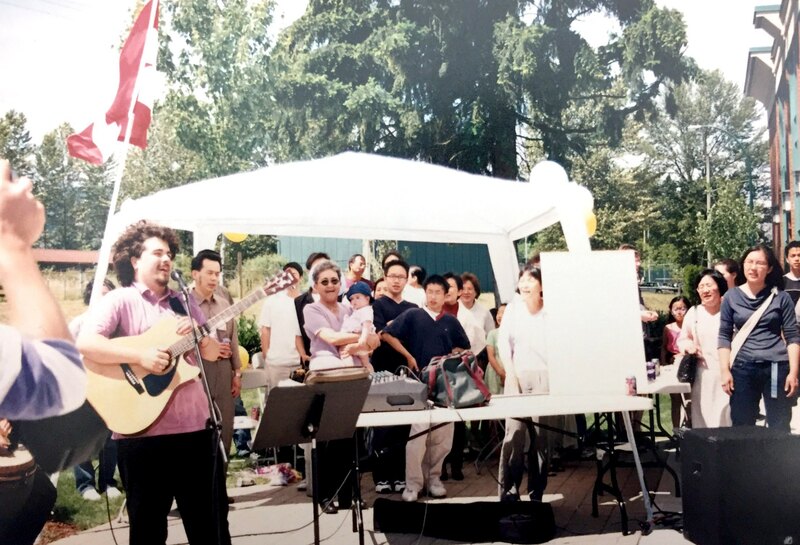 We got into a bigger problem when we organized a Canada Day celebration in 2001 and invited our neighbours and both federal and provincial members of the parliament in our riding. 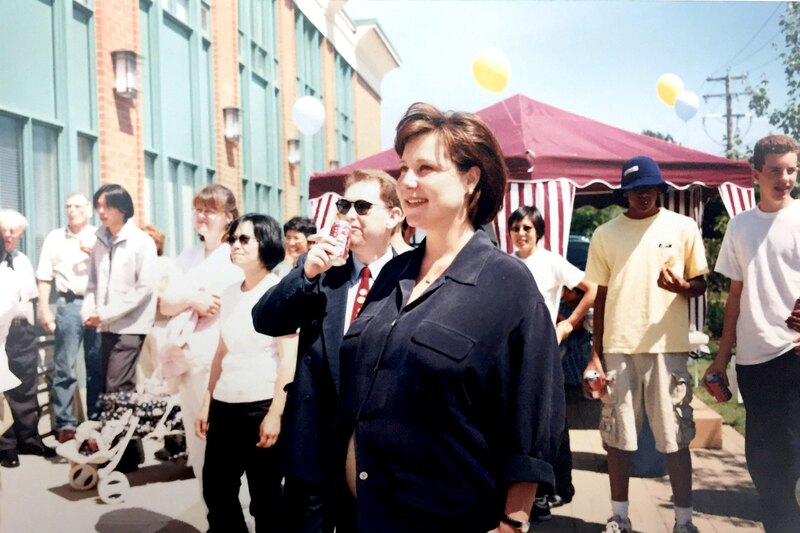 The celebration was a big success, with both John Moore (Federal MP) and Christy Clark (MPP and Deputy Premier of B.C.) coming to celebrate the event with us. Pastor Smiley became furious. He reprimanded us for not getting his prior permission, which he refused to grant in spite of the fact that all the deacons came and enjoyed the celebration. He also condemned us for shaking hands with the devil, because politicians were, according to him, evil. Photos from the Canada Day celebration. Things also deteriorated in the Mandarin ministry. At that time, I also helped the Mandarin pastor with the small Mandarin service, which was held in the afternoon. Pastor Smiley made things very difficult for us and finally wanted us to move out because he wanted to keep the church primarily Cantonese-speaking. At that point, I was so tired from fighting useless political battles that we left. We were glad that, shortly afterward, Pastor Smiley was removed. Now, the Chinese Alliance Church has become a thriving multicultural church. Dean Davey of Friendship Baptist Church. Our last involvement in Church ministry was very positive. After leaving the Chinese Alliance Church, we went to visit Friendship Baptist Church, pastored by Dean Davey. Pastor Dean enthusiastically welcomed us to his church and asked me to mentor him. He came to my home once a week and shared with me his concerns, seeking my guidance in various areas of his life. It was a very pleasant and mutually rewarding experience. I was also invited to preach on Sundays. 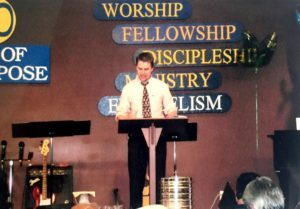 Dean was a very gifted speaker and was often invited to be the keynote speaker at the Fellowship Baptist Annual Convention in B.C. Other than actively helping out in various aspects of the church, we were also friends with his family. Ultimately, God had other plans for us. Our involvement at the Friendship Baptist Church came to an end when we were invited by Brian Stiller to duplicate our successful graduate counselling psychology program at Trinity Western University to Tyndale University College and Seminary in Toronto. After returning to Toronto, we attended Stone Church, which was one of the few evangelical churches that were friends to homosexuals, and my oldest son attended that church. The Rev. Don Noble was the senior pastor. Don was a very gifted preacher with great psychological insights in his sermons. I was sure that he would make a great psychologist. The associate pastor Alvin Frank, then studying at Tyndale Seminary, asked me to mentor him. Therefore, I had good relationships with the pastoral team. I served on their committee, preached on Sundays, and spoke to their seniors’ group, and my wife preached at the special conference for women. The only thing lacking at Stone Church was fellowship. They all knew who we were, but after Sunday service, only the seniors talked to us. To the young people, we were totally invisible. This is a common problem in today’s churches, including Grace Chinese Gospel Church of North York. During our last few years at Stone Church, we also started the Toronto Meaningful Living Meetup Group. Several Asian students attending Stone Church were also active in our Meetup Group (see a brief video of our Meetup Group at my home). 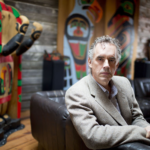 Incidentally, this video also included an interview with my friend Prof. Jordan Peterson, who expressed his view on the importance of meaning. What have I learned from all my church ministry experiences? I have shared these lessons in Chapter 23. Here, I only want to say that most of the problems in church ministry can be attributed to human foibles and personality defects, such as selfishness, low self-esteem, insecurity, the need for power and control, and fear of being overshadowed by someone more gifted. My own weaknesses, such as a lack of tactics and a lack of patience, may have also contributed to my woes. From the vantage point of an old man, I have forgiven all those who have caused me injury, and I am grateful to all those who have stood by my side through thick and thin. It has been a worthwhile adventure, and I would not want to change anything, even if I could go back in time. Deep down in my heart, I still want to contribute to the church in whatever capacity I can. I am grateful that Pastor Ted Tham has given me an opportunity to speak at the English congregation leaders’ retreat of the Grace Chinese Gospel Church of North York. Nee, W. (2009). The normal Christian life. Fort Washington, PA: CLC. 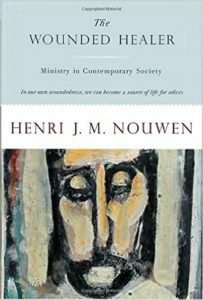 Nouwen, H. J. M. (1979). The wounded healer: Ministry in contemporary society. New York, NY: Doubleday. Taylor, H., & Taylor, G. (2008). 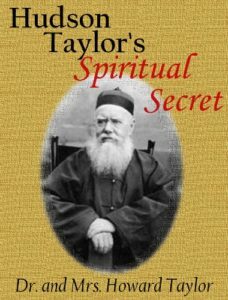 Hudson Taylor’s spiritual secret. Peabody, MA: Hendrickson. Warren, R. (2012). 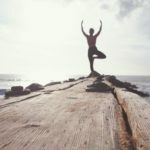 The purpose driven life: What on earth am I here for? (Expanded ed.). Grand Rapids, MI: Zondervan. Wong, P. T. P. (2012, September 12). What makes life meaningful? Sermon presented at Stone Church, Toronto, Ontario, Canada.